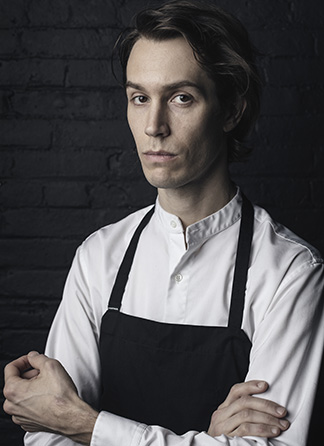 Originally from Stockholm, Sweden, Fredrik Berselius has spent most of his culinary career in New York City. He opened Aska, Swedish for “ashes”, in its original location in 2012, where he was recognized for bridging the culinary heritage of his upbringing with the immediate environs of his Brooklyn address. Within less than a year, Berselius earned his first Michelin star, and Aska was named one of the 10 Best New Restaurants in America by Bon Appetit magazine. In 2014, Berselius decided to temporarily close the restaurant in order to move to a new and bigger location near the edge of the Williamsburg Bridge. Aska reopened in the summer of 2016 and within only a few months, was awarded two Michelin stars, being the only restaurant to receive the honor in the 2017 New York Guide and one of only ten restaurants in the city to hold two stars. With an emphasis on ingredients from the surrounding Northeastern U.S. region and influenced by Berselius’ Scandinavian homeland, Aska offers a distinctive dining experience through a procession of courses prepared from an open kitchen and served to guests of only ten tables each night. 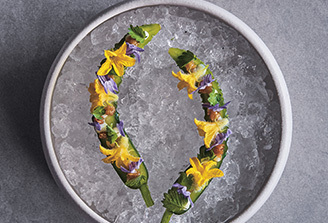 Berselius has spent his career developing his candid culinary philosophy and bringing his love for nature to his urban surroundings through food. 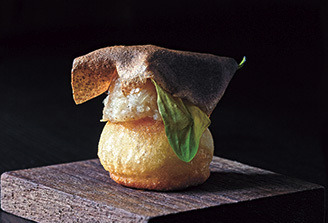 With an emphasis on ingredients from the surrounding Northeastern U.S. region and influenced by his Scandinavian homeland, he masters balancing the ambitious with the approachable, offering a menu of extraordinary dishes that bring guests on a journey of both new and familiar flavors. It is his intention to create food that is not only delicious but also makes you think. Ever evolving, Aska’s tasting menus are a culinary journey of Scandinavian flavors and techniques designed to awaken the senses and be in tune with the seasons. Each course is a process of discovery, encouraging diners to experience both new and familiar flavors and connect to their surroundings. 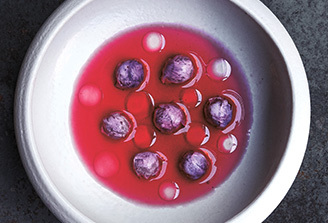 2013 Best New Restaurants in America Bon Appetit magazine.